Here’s the thing: we all love Amish Friendship Bread, but we don’t always love waiting 10 days to make it. Sometimes we just want to bake, well, RIGHT NOW. If you have a cup of starter in your freezer, you can take it out at any time and bake with it once it’s thawed. There’s a tutorial for that here. But what if you just don’t want to deal with the starter at all? I’ve got your back. 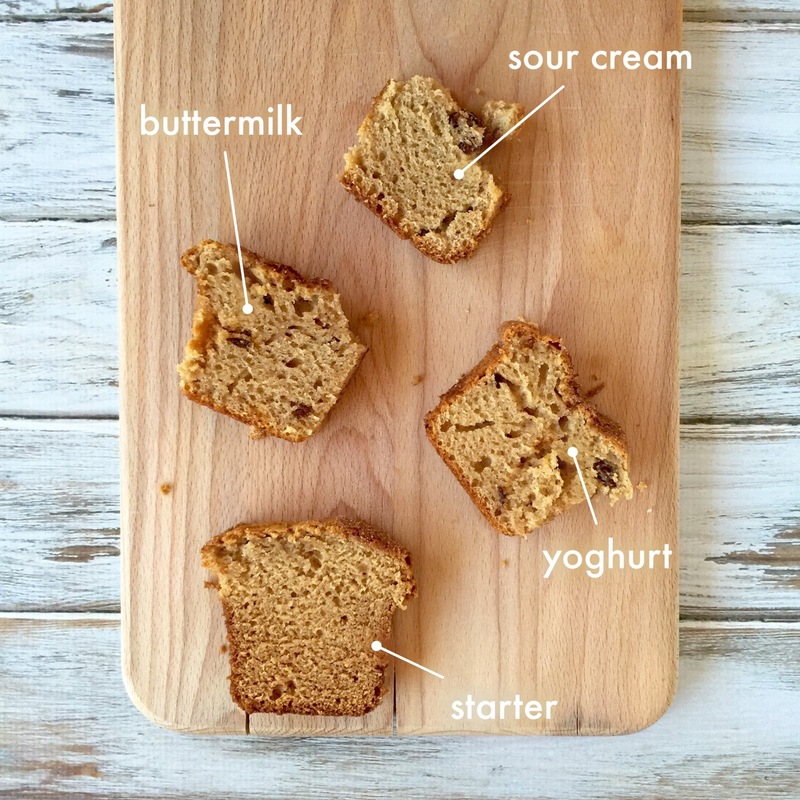 I spent two mornings testing three different no-starter, starter-free Amish Friendship Bread variations: plain Greek yoghurt, buttermilk, and sour cream. I also made a regular loaf with a starter as my control loaf. Yes, after 250+ recipes I am finally going to show you how to make Amish Friendship Bread without the starter. Let me start by saying that all of the loaves were tasty. I had a small panel of taste testers (my kids), and they liked different loaves for different reasons. When I asked them which was closest to the original Amish Friendship Bread flavor, the winner was (drum roll) the buttermilk substitute. In the old days, buttermilk was what remained after the butter was churned. The liquid cream was left to ferment, converting milk sugars into lactic acid (sound familiar?). Nowadays we have to pasteurize things, so lactic-acid bacteria is added to pasteurized skim or low-fat milk to make buttermilk. Once I knew buttermilk would solve our no-starter problem, I made it several times (count: 4) until it turned out as close as I could get it to the real thing. Of course if you want the real thing, just bite the bullet and shake out your bag of starter. But if you can stand a pretty darn good imitation, this is it. Can't wait 10 days to bake? 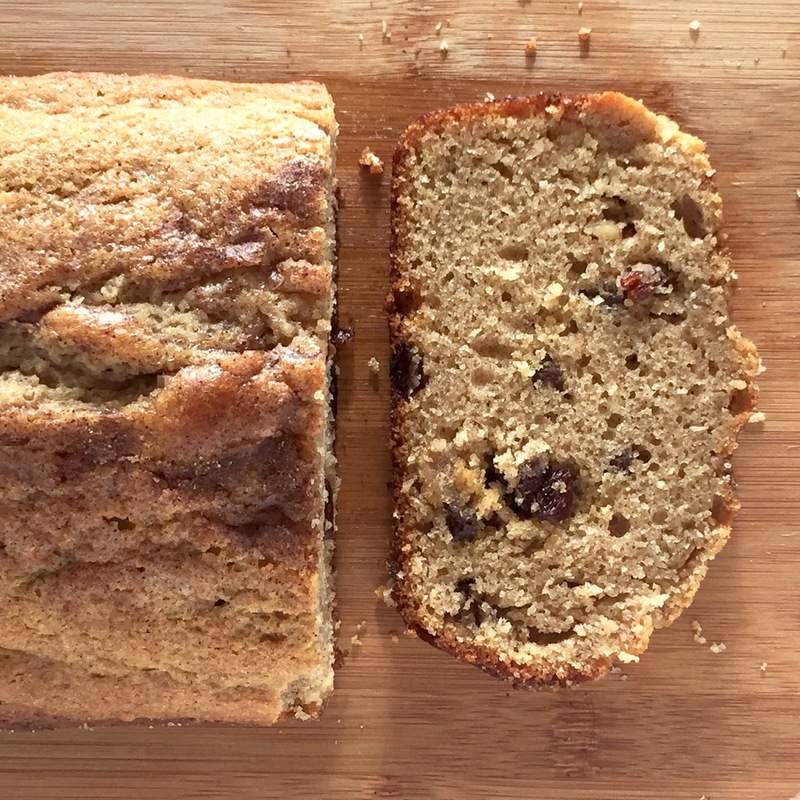 Here's a no-starter/starter-free Amish Friendship Bread recipe that will remind you of all that cinnamon goodness without the wait. Pour the batter evenly into loaf or cake pans and sprinkle the remaining cinnamon-sugar mixture on the top. 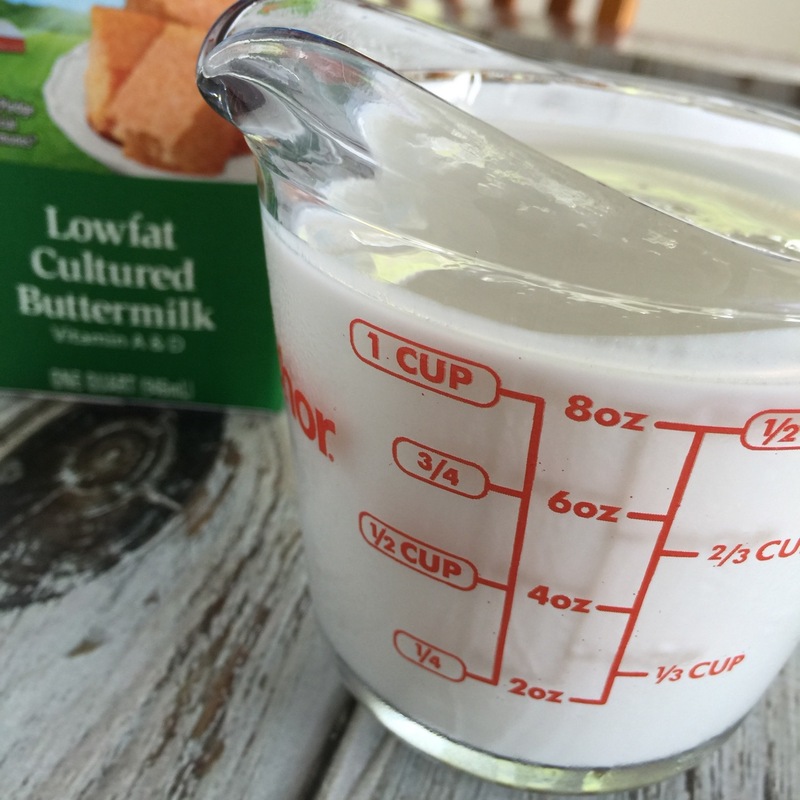 Don't have buttermilk on hand? Add 1½ tablespoons of lemon juice to 1½ cups of milk. I cannot wait to try this!!!! Thank you!! It’s just me and my husband now so it’s not worth it for me to keep a starter on hand. It just gets away from me. Very excited to try this. I’ve given up on making Amish friendship bread because I can’t seem to keep a starter alive. I would love to have the bread again, it’s popular with my family and friends. I hope you’ll give this version a try, Carolyn. It was super tasty and a great shortcut if you don’t want to use the starter. Good luck! Glad to have you in the Kitchen with us, Patricia! Am trying this tomorrow and will hopefully have it ready for church on Sunday. Hope it’s a hit, Kelli! Keep us posted and thanks for being in the Kitchen with me! Does this mean we can replace the starater with buttermilk in all recipes? I only tested it with the original recipe, Margaret, so I can’t say for certain. 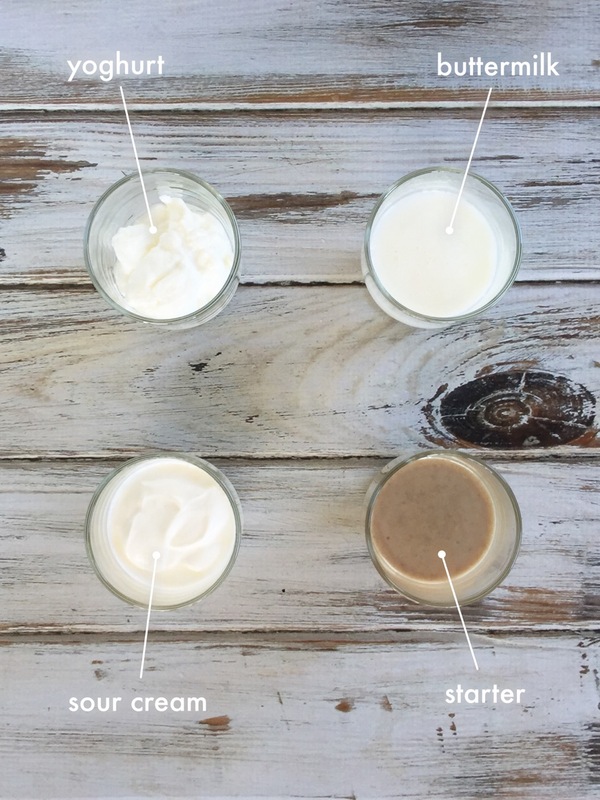 I’d recommend trying this one and if you like it, try a substitution with another recipe (just keep an eye on measurements — you may have to increase/decrease your other liquids, etc.). Let me know how it goes! Darien, this is awesome. I love it uses buttermilk which I often have left in the fridge. Thank you, it’s on my too do soon list. Does this work without the nuts and raisins? Do any of the other ingredients need to change if I omit the nuts and raisins? You rock! I LOVE Amish Friendship Bread but hate messing with the starter. Thank you! Many many years ago, my mom-in-law gave me a bag of starter. I made it and everyone loved it but got too busy to keep up with it and forgot all about it. Just recently I picked up your book “Friendship Bread” and it all came back to me! Now, an Empty Nester I have all kinds of time to nurse along a starter for 10 days and am looking forward to looking through the variations on my Kindle as I wait for that glorious BAKE DAY! I am also excited to read your other novels in the Avalon series! Thanks for bringing back happy memories to my kitchen! Thanks for the kind comments and for reading, Rhonda! Happy baking! Have you tried this with gluten free flour? No but it should work, Rosemary, especially if it says on the package that it can be used in lieu of regular flour for baking! Good luck and let us know how it goes. My starter is on the counter in a canning jar. Do you have your lid over the top of the jar ,without the latch closed ? If you’re keeping your starter in a jar it’s best to drape it with a dish towel or some loose saran wrap but to keep the jar unlatched. If the jar is sealed the starter can build up gases so quickly that you could have a mess on your hands. 🙂 Thanks so much for being a part of the Friendship Bread Kitchen! I’m looking for a recipe for NO STARTER Amish Friendship CAKE. Thanks. Hi Deb! Sorry, we don’t know much about the 30-day Amish Friendship Bread cake that uses the fruit starter, so I’m afraid we can’t be of much help! Let us know if you find it, though — we’re always up for learning more about other variations! Ok, I think I’m going to try it the same way as the bread (which was delicious). I’ll let you know how it turns out. 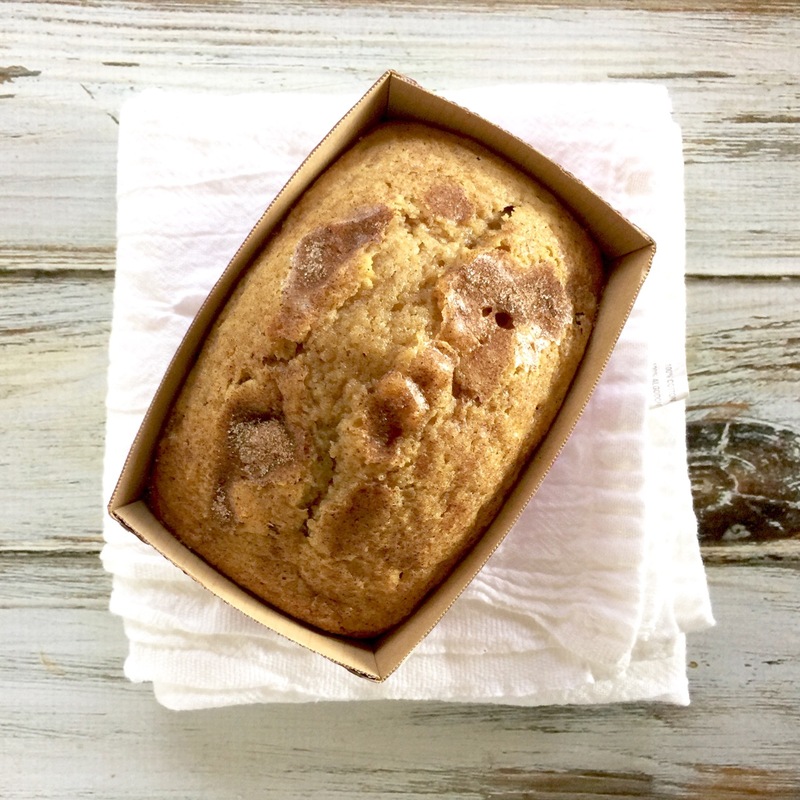 I love Amish Friendship bread and can’t wait to try this without a starter, did you use instant vanilla pudding or regular? Recipe says “Add ingredients as listed” – Do I stir after adding each ingreadient? Or put them all into the bowl in order listed & Stir all at once? Thank you for this receipe. I made it–in fact I have made it several times& it was delicious. I like easy to follow receipes & ones that you don’t have to go out & buy things you’ll only use once in a blue moon. This will be a favorite of mine. Thank you again. How much sour cream do I use if I want to go that way? Thanks in advance. 1-1 with starter, Tee! 1 cup (8 oz). I want to use a bundt pan in place of the loaf pans, any suggestions? May I use all the batter in one baking? I have baked the full amount of batter in a tube pan and it turned out very nicely . Thank you. I did bake the batter in a bundt pan. It also worked very nicely. Would it be possible to sub 1/2 c. applesauce for half of the oil? The rule of thumb for replacing oil with applesauce is ¾ cup applesauce to 1 cup oil. So if you’re just going to go half, you would want to use ½ of ¾ cup applesauce. Or experiment and see what works! Keep me posted, I’d love to hear your results or see a photo! For those of us in other countries with no access to pudding mix, how much is in a small box and what are the ingredients of it? Cornstarch and vanilla like with custard powder? Hi Linda! Great question! We actually have a few homemade pudding recipes here: https://www.friendshipbreadkitchen.com/?s=pudding, but lots of people make the recipes without using pudding at all. 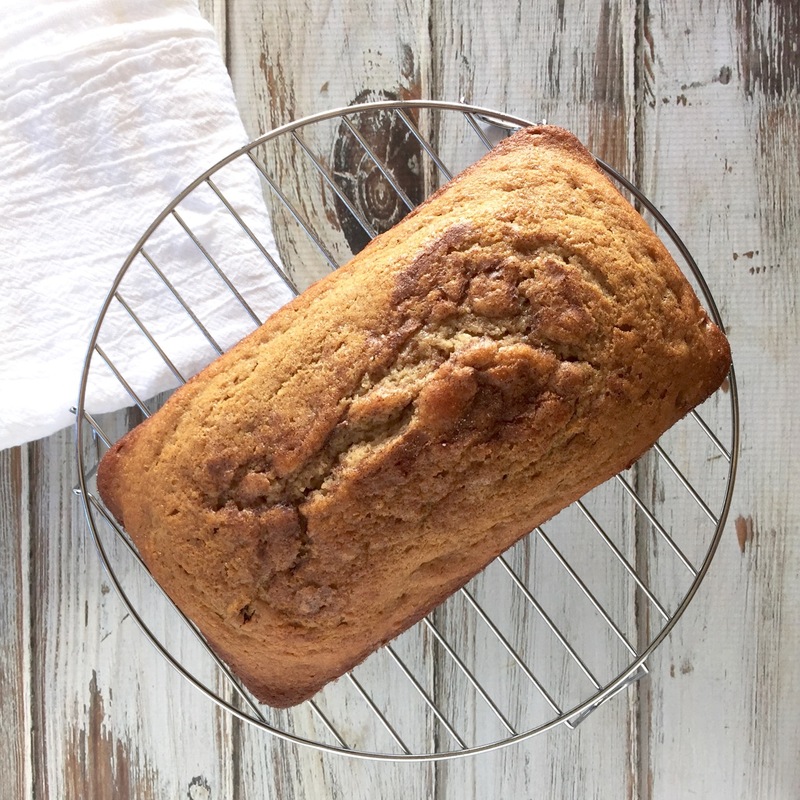 You could try it both ways to decide what’s easier for you — not having to make homemade pudding would eliminate one step, and the whole point of Amish Friendship Bread is making something without a lot of hassle. Good luck and keep me posted with how it goes! Thank you for your website. I make all my bread, from no knead bread to quick breads. All my recipes have notes from me on them, that’s why I have them all in 3 hole binders. It works and when I get recipes from the net I print them on letter size paper. It works great! I have binders for different kinds of recipes. This looks great. I just have not been able to keep a starter going. I can’t wait to try this out. Glad I fould you!! I made this bread for a Christmas party to hand out as gifts , everyone loved it! Someone even asked if I had any starter left so I had to confess and tell them it was a no starter recipe! Hi Rachel! There are multiple ways to store your Amish Friendship Bread Starter. You can certainly store it in a glass bowl and cover it with clingwrap. This often makes it easier to stir and feed. You can also store it a Starter Storage Jar, available in our store. For more information on how to care for your Amish Friendship Bread, you can check out our Amish Friendship Bread 101 page. Happy baking! I would love to try this recipe but live at an altitude of 6500′ and usually have to make adjustments to recipes for baked items. What recipe changes would you suggest? -Reduce baking powder: for each teaspoon, decrease 1/8 to 1/4 teaspoon. -Reduce sugar: for each cup, decrease 0 to 2 tablespoons. -Increase liquid: for each cup, add 2 to 4 tablespoons. -Increase oven temperature by 25 degrees F.
-Reduce baking powder: for each teaspoon, decrease 1/4 teaspoon. -Reduce sugar: for each cup, decrease 1 to 3 tablespoons. -Increase liquid: for each cup, add 3 to 4 tablespoons. When you remove 1cup of frozen starter ,do you find that it feels more like a slushy consistency, than frozen solid ? Yes. It won’t be frozen like a block of ice, but have more of a sludge-like consistency. I’m bringing some of the most delicious Banana bread I’ve ever had in to work today. These recipes are great ! Do you use self rising flour or plain flour.? Thank you for this recipe. I am wondering if I can use this in my bread machine. It’s an old West Bend that works great but is just basic. Thanks again, and Merry Christmas. Just to clarify- 1 cup sugar goes in the mixture and then an additional 1/2 in the pan and on top of the bread? Hi Kelli — 1 cup is in the recipe. You then dust the greased pans with a cinnamon-sugar mixture (you won’t use the full ½ cup of sugar), and also sprinkle on top. This is an optional step. This didn’t work out for me at all. Possible culprits: non dairy milk and cheesecake pudding? I dunno, they didn’t rise at ALL. Rectangle paper weights. My house smells amazing, though, so there’s that! Hello! So sorry that your baking adventure did not turn out as planned. The cheesecake instant pudding mix is probably not the culprit, unless of course the box was expired. Many of our recipes call for the cheesecake instant pudding to add moisture and flavor. The dairy-free milk is much more likely the problem. 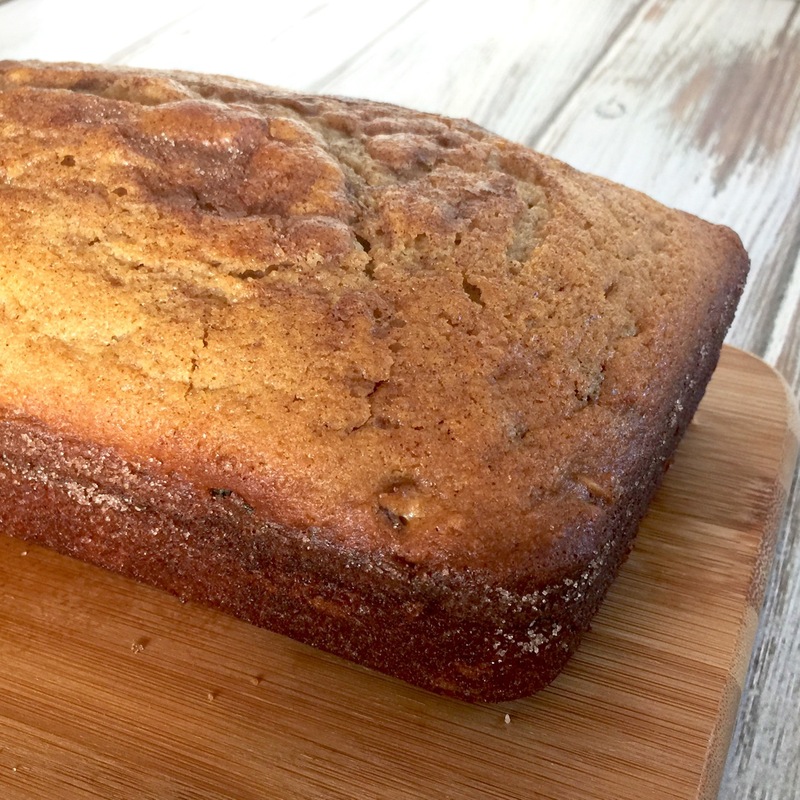 Because this recipe uses no Amish Friendship Bread starter, it needs the kick provided by the buttermilk in order to resemble Amish Friendship Bread. Hope this helps! 🙂 I did add vinegar to the non-dairy milk, which I have done for vegan recipes for the buttermilk effect. Oh well, will just have to try again! Hah. I made this and have a few comments. First of all, it is good…pretty darn good without a starter. However, it is wetter than my bread made with a starter. Also, it doesn’t rise as well since it has no yeast in it. I’ll definitely make it again. Is your bread wet? ?